Internet of Things is a hot topic and many big numbers will be thrown around. What does this mean to the data center industry, a bunch of people who thinking about the low level plumbing to push and pull bits on the Internet? 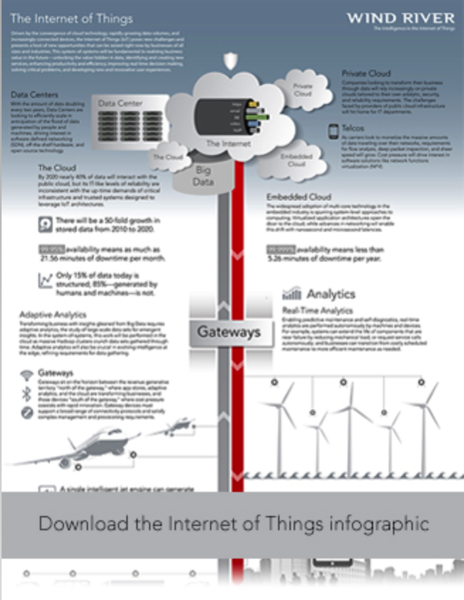 Here is a Wind River graphic showing the Infrastructure in the Internet of Things.